I love all things texmex – all of them (except when people put olives on nachos… seriously? olives? ew.) Anyway… this adoration really conflicts with my desire to eat healthy. Cheese, sour cream, refried beans, chips & guac… nom nom nom. 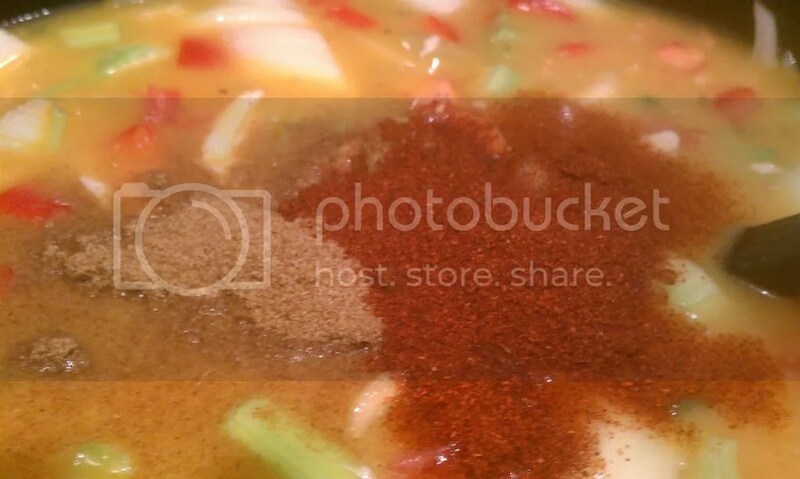 SO, a few years ago I decided to make chicken tortilla soup. 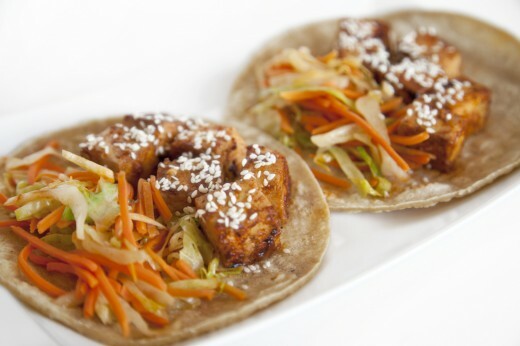 It’s pretty healthy considering, but still gives that delicious texmex flavor to dinner. Win win. Then one fall I made a homemade pumpkin pie. 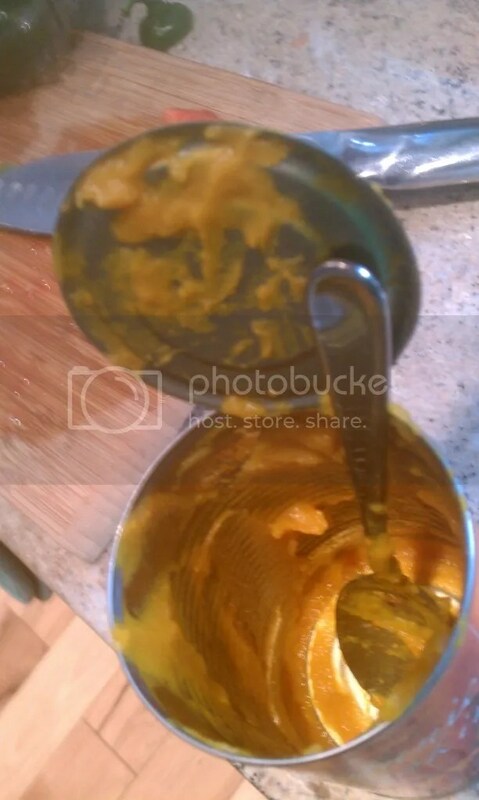 Not like out of a can pumpkin, I mean like we roasted a pie pumpkin, pureed the pumpkin pulp etc. It took forever, but it was worth it. If you get the chance this year to make a from scratch pumpkin pie with fresh sugar pumpkin and honey etc. do it. But from this pumpkin pie, I had some leftover pumpkin puree. 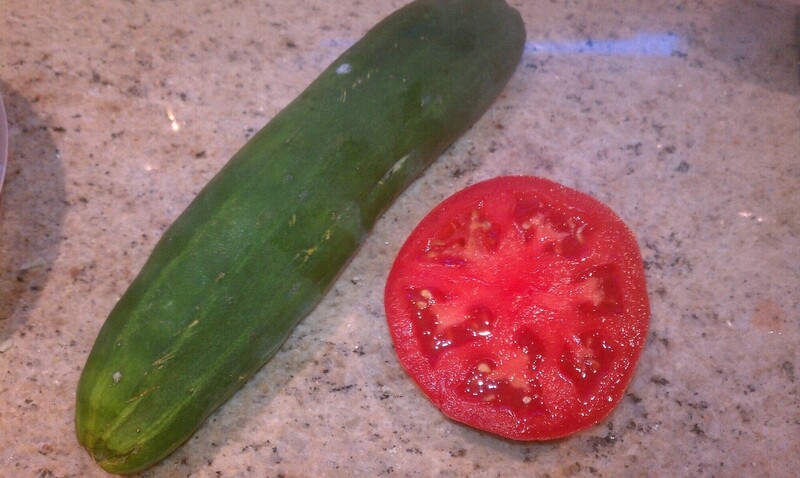 So, in true me fashion, I decided, why not make this into a soup? Why not combine good things then and make pumpkin chicken tortilla soup? And you know what? Great idea. So here’s how you make it. It helps if you have some left over roasted chicken around so you don’t have to make it just for soup. But you could if you want. Luckily I made a whole chicken the other day, so we had some in the house. This recipe won out over Southern chicken salad… it’s that good. Step One: Get out your trusty crockpot (if you don’t own a crock pot, I GUESS you can use a pot on the stove. But really, just go get one. They’re not very expensive, and you don’t need a fancy one.) Set it to high. Step Two: Chop up the basic soup veggies: onions, celery, carrots, garlic. 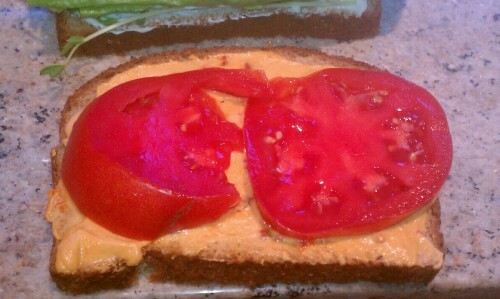 Add in there some bell pepper too (and if you have some chop up a few jarred roasted red peppers). Then pour in a can or two of green chilies. If you have fresh ones, by all means use those. 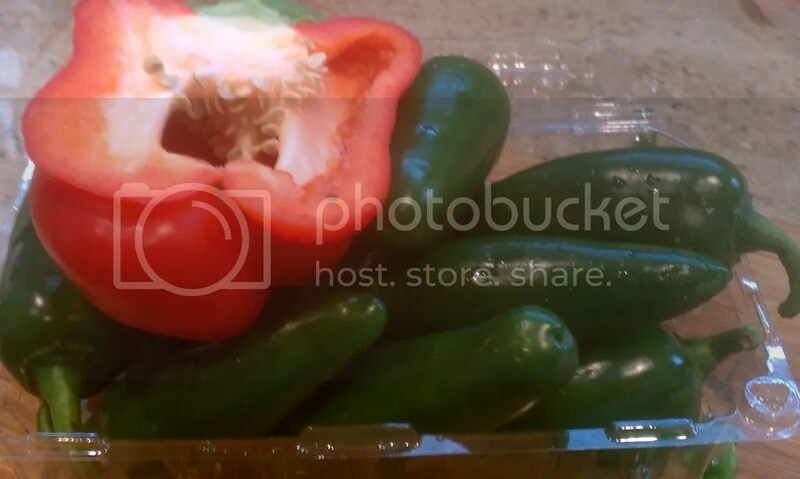 I also toss in 1 chopped seeded (aka take out the seeds) jalapeno. But that’s optional of course. Step Three: Add some more stuff! A few cups of chicken broth (I use the box kind, but if you have your own around, that’s good too! ), and a few handfuls of leftover roasted chicken (If you don’t have any cooked chicken you have two options: either cook up a chicken breast/a few thighs on the stove and shread, or throw them into the crockpot raw and shread after fully cooked which they will be after a few hours). 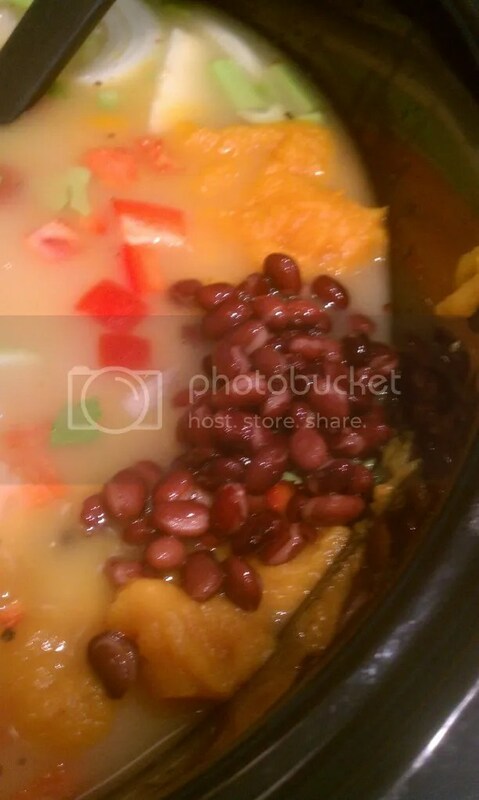 With that you need to pile on black beans and pumpkin puree too. As I’m too lazy right now to make pumpkin puree from scratch, I used the ubiquitous fall canned pumpkin this time. Sorry for the slightly blurry pic… new phone is almost set up so better photos to come. Step Four: Ok, you’re almost there. Easiest part: add a couple cups of water. Or, if you have any leftover white wine like I did (perhaps something you didn’t like), you can add a cup or so of that instead. Both good. Step Five: Put the lid on and leave the crock pot alone on high for about 4 hours. This makes this an ideal candidate for all day or all night cooking (if you leave it all day, feel free to go down to low, it’ll get to a boil at low after about 5 hours). 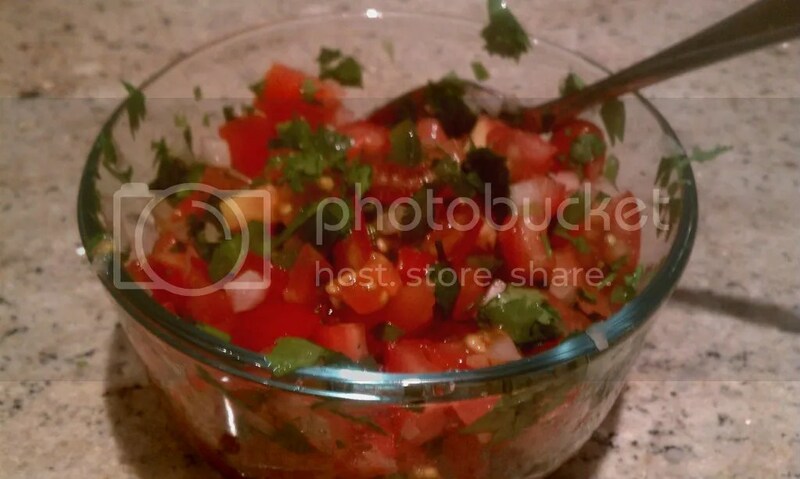 BUT while you’re waiting… you should make some pico de gallo for the top. BONUS STEP: Pico de gallo. Chop up 1/2 an onion (red is best, any works), 1/2 a jalapeno (again, w/o seeds) one or two tomatoes, and cilantro to taste (the more the better in my book). Pinch of salt on top is optional. You can also add 1/2 a chopped avocado if you’re feeling so inclined. Oh all you recipe writers, both great (aka on TV) and small (aka those who post on their own blogs that no one reads)… you have a piece of my heart. You create and then share how to create with the world, in a cycle rarely replicated in other arts. I mean, it’s not often you see a sculptor create something and then give explicit directions on how to do it. I respect the level of creative sharing that exists in the food world in many respects. But we really have to talk about what counts as a ‘recipe.’ Three ingredients, and only one is unprocessed? NOT a recipe. That’s a back of a Betty Crocker brownie mix. Any recipe that involves ‘Cream of ______ Soup”? Not a recipe. Maybe that’s the way your mom did it, but she really should have taught you how to make a creamy stock like your grandma did. Seriously. It’s not rocket science, and that would make it a recipe. I’m not trying to be elitist, I just prefer that if I’m going to cook something that it actually lists all the ingredients. When we use things like Bisquick or Cheesy Taco seasoning mix (which are all well and good in a pinch for quick meals, but not literally cooking) I can’t tell what’s in my finished meal. MSG? Probably. Xantham gum? Yup. Partially hydrogenated soybean oil? Perhaps. The list could go on. When I follow a recipe I would like all ingredients to be things I buy at the store that I can eat: whole non-dehydrated vegetables, spices sans fillers, close to whole grains. 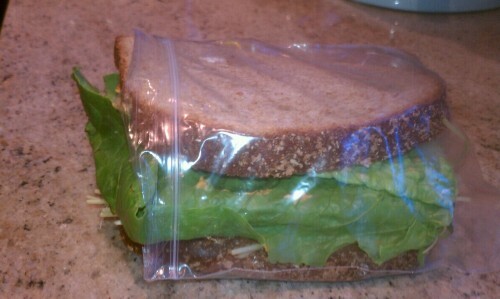 This helps me be able to feed those with dietary needs without worry and makes me feel like I’m eating real food. From now on I’m calling your instructions Processed Meal Plans, not recipes. Please label them accordingly from now on so that when I google for recipes they do not come up in my results. I still agree. Glad to know I’m consistent with myself. Two nights ago I wasn’t feeling too hot (I’m still not, but I can’t sit still for more than like 6 hours to rest), and my boyfriend offered to make dinner. He came home with a bag of fresh shrimp, pasta, pesto etc. and made a delicious pesto pasta with breaded oven-crisp parmesan/garlic shrimp. It was scrumptious. But we (shockingly) did not need to eat over 1/2 lb. of shrimp on pasta between the two of us. So, the next night we had to eat shrimp too… but with what? We hadn’t really been grocery shopping, and shrimp pasta night 2 didn’t seem appealing. LUCKILY, this is where I thrive. Give me a kitchen 1/2 stocked with random stuff and I will make you a dinner you like. 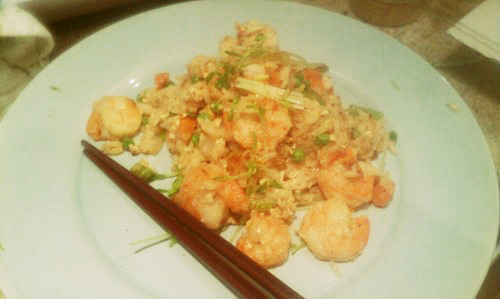 I was going to do shrimp stirfry, but realizing how few veggies we really had, it morphed into shrimp fried rice. And it turned out delicious! So how can you too use your left over shrimp (or chicken, or tofu, or whatever you like really) to make friend rice? Easy. 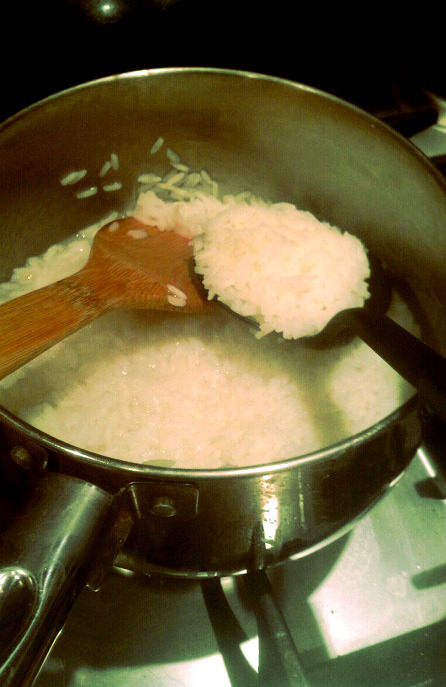 Step one: Make some rice. It doesn’t really matter what kind, even wild rice works fine. You can all use left over rice if you have some, or left over quinoa, or that 1/2 cup of dry barley you didn’t put in the veggie soup like 6 months ago and has been sitting around. Just find some kind of grain, and cook it. For 2 people, you should have at least a cup of cooked grain when that’s said and done. As you may be able to see, I really should measure water when I make rice. This stuff was a little too soggy, but oh well, it worked fine. Step Two: Sautee up whatever veggies you have around. Onions, celery (even kinda dried out celery hearts), carrots, bell peppers are all great – and if you have any garlic put that in too. I threw in some frozen peas near the end too for more veggie oomph. If you have sesame oil, use that to cook up these veggies, if not olive oil or canola will work. Be creative with your veggies here. Use what you have in the fridge or freezer and don’t be afraid. The worst thing that happens is you pick out the beet bits and learn that beets don’t really fit in a good fried rice (they don’t FYI). Step Three: Throw in the protein and cook that up too. If it’s leftover, all it should need is to be heated up, so no real big thing here. This is also when you can add some more seasonings to the mix. Garlic salt? Sure. A pinch of ground ginger? Why not. 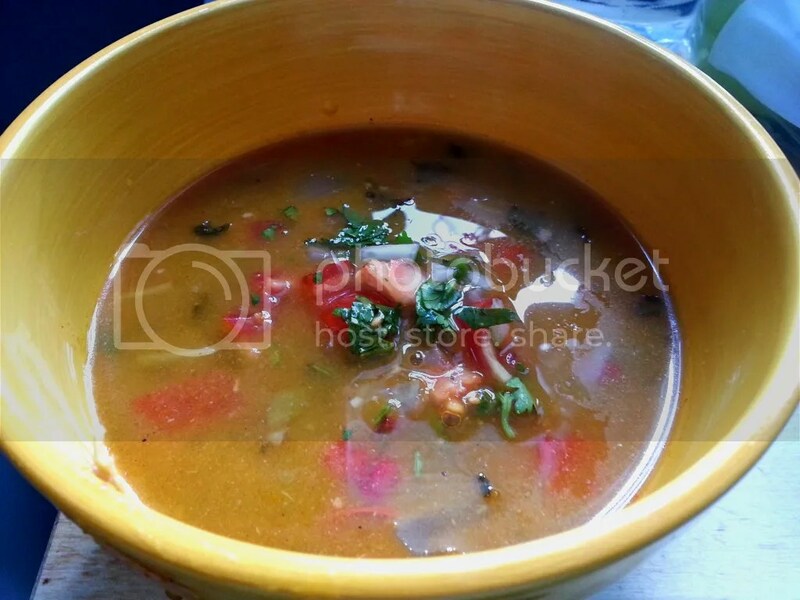 Chicken bouillon if you like it salty – nom. Fresh black pepper, that too. Don’t be shy. The rice and eggs temper any spices so don’t worry. 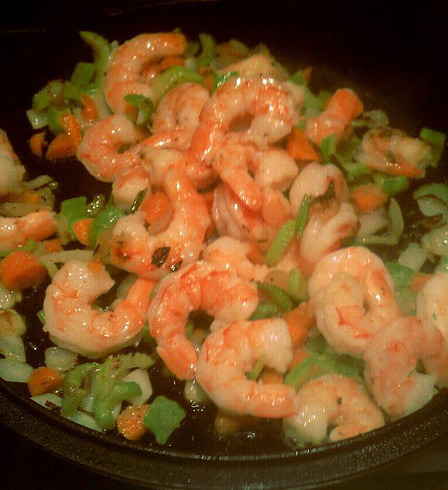 We have a wok… I still used my cast iron skillet. I can’t resist. Step 4: Crack in a few eggs, around one per person being served. This gives your fried rice a little cohesion, and gets rid of a couple eggs if you’re bad at using them (as we tend to be). If you don’t have eggs, it’s fine w/o them, but most people have an egg or two laying around so toss that in. Step 5: Ok, last step, throw that cooked rice/grain into the pan and toss everything around. 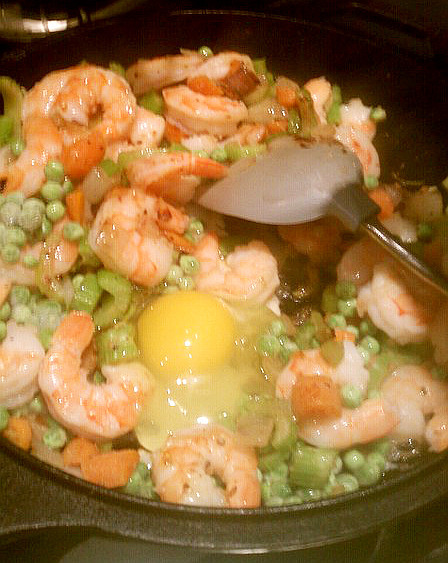 The egg will be cooking on the hot pan and veggies, and everything will be grand. At this point you can add any sauce you want, but not too much. So some soy sauce, left over dumpling dipping sauce, teriyaki – whatever. Toss a little in while you fold the veggies, rice, protein and eggs around in the pan. 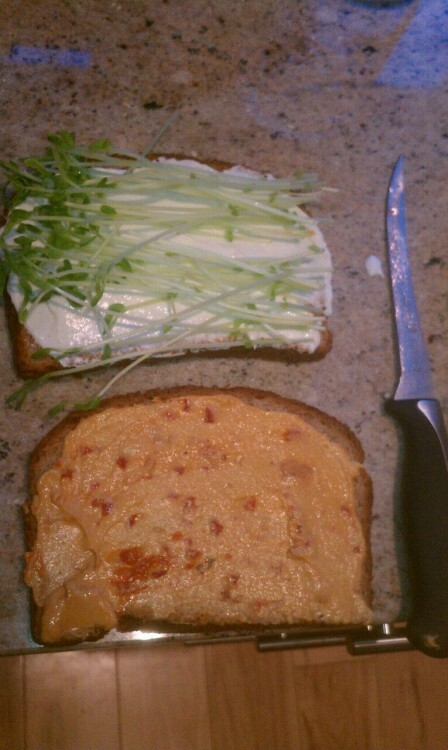 You can even spice it up with some sriracha (I love TheOatmeal) if you’re into that. Let it stick to the pan a little to brown pieces up – it’ll keep it from being too mushy. Step 6: Eat. 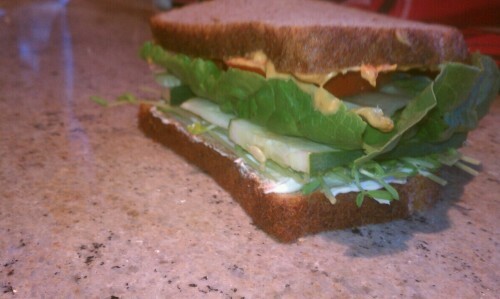 Top with anything you like – sesame seeds, left over sprouts from veggie sandwiches, almond slivers… whatever you like. Think of it like a sundae bar, but savory and asian-esque. Chopsticks not required. Also, I prefer a bowl, but this is an ongoing debate (plates v. bowls, spoons v. forks for LOTS of foods) so here we have a plate for the BF. See? In like 20 minutes and with absolutely zero planning we had tasty shrimp fried rice. Prevents throwing old veggies out in a week, is decently healthy for you, and avoids anyone in the house from whining that there’s nothing to eat and they’re hangry. Super extra bonus? Great for lunch the next day too. Enjoy! And let me know what you like to make for your ‘use your leftovers for a meal’ dinners in the comments. Chia Seeds: Sesame Seeds or Bubble Tea Tapioca Balls? Both? I was cruising facebook a few weeks ago, seeing what my ‘friends’ were up to (we really need a special word for facebook friends… frienooks? faciends?). Anyway, one friend had posted a fruit parfait thing she’d made. But where I expected there to be yogurt there were weird gray blobs in it. See? It reminded me a lot of bubble tea by appearance (which never was my cup of tea… pun intended), but it wasn’t tapioca. I was intrigued. She’d described it as a ‘chia seed parfait.’ So I looked into chia seeds some more. And ya know what? They’re definitely the new hip superfood we should all be eating that Myans and Aztecs ate all the time and we’ve ignored for a few thousand years. Now, while the Mayans and Aztecs didn’t fair so well, from all out accounts it’s not because of Chia. According to health food experts, we should be eating this. Flax seeds? Meh – has to be shucked to get to the Omega-3 fatty acids. Not so with Chia seeds. Additionally, Chia has a plethora of anti-oxidants, fiber, calcium, phosphorus, magnesium, manganese, copper (who knew my body could use this? ), iron, B3, and zinc. As a bonus Chia can be stored dry for a long time without losing it’s oomph. All pretty excellent news, so I decided to give this stuff a try. But two questions remained — where can I get it and how do I eat it? I searched the local health food section at the generic grocery store – no luck. I could have driven out to a whole foods or something I’m sure, but instead I decided Amazon was my friend. So I ordered a pound of chia seeds. They arrived a few days later in a small box, and inside was a zippered bag like I was buying health food drugs (or at least what I imagine that might be like from watching The Wire, I’m too squeaky clean to know personally). Though I bought a different ‘brand’ of seeds, they all look about the same I think. 1) Sprinkle them a tablespoon at a time onto anything right before eating. It adds a little crunch like sesame or poppy seeds. 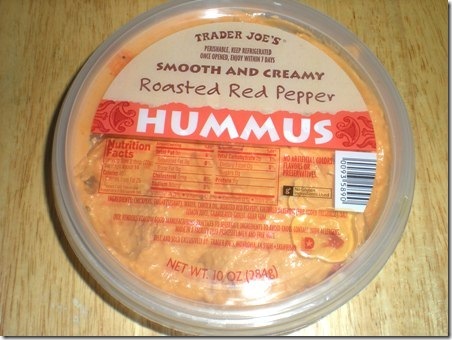 This is great with stir fry (even tofu stir fry if you go with the CreativEating blog thing). Also good on sauteed veggies if you throw them on as you serve, or tossed in with the granola you top yogurt with. 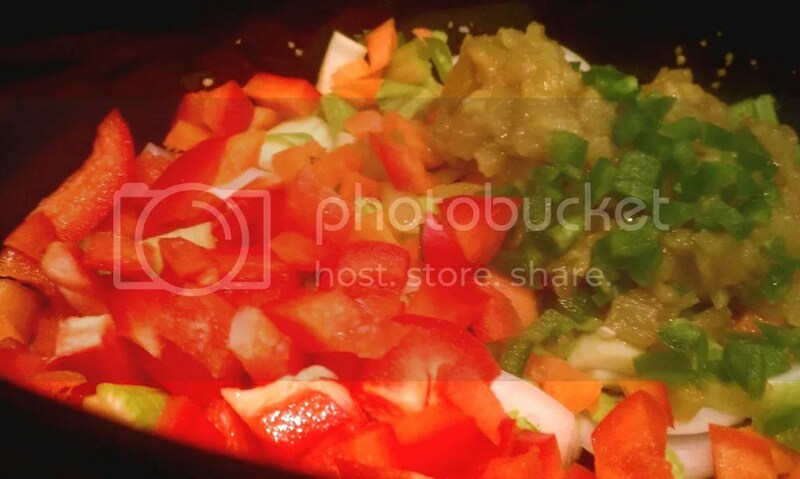 See how chiaseedme.com shows these cute things on stir fry. But be aware, when these little buggers soak in ANY liquid for about 20 or 30 minutes they morph like transformers from crunchy bits to gelatinous monsters. 2) Ok, not monsters. But they would be weird in stir fry or sauteed veggies. I did try this gelled method though and it was kind of fun (I bet kids would love this weird gooey transformation)! I soaked about 6 tbsp of seeds in some orange/peach juice in cup overnight in the fridge. Then in the morning I scooped this weird seed-laden jello on top of some cut up bananas and strawberries. My friend’s parfait up top used almond milk (I believe) in place of the juice. A few other places out on the interwebs use soy milk or almond milk, fruit, AND greek yogurt for a breakfast cup. All in all, I bet they’re all good. 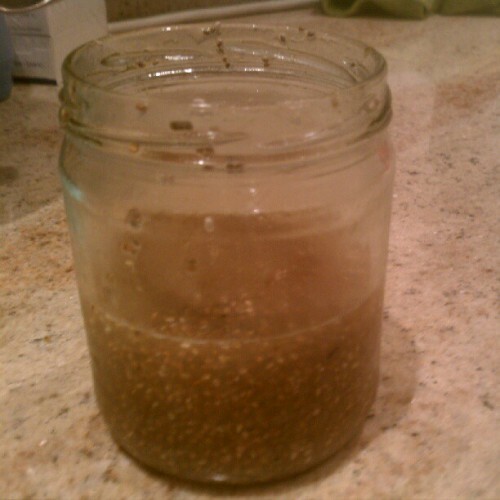 My juice/chia seed goo was scrumptious though visually unappealing. See? I will say that if you can, stir it a few times over the first 20 minutes so it doesn’t get set in clumps. But if not, it’s not the worst thing that’s ever happened – you can pick them out if you want. 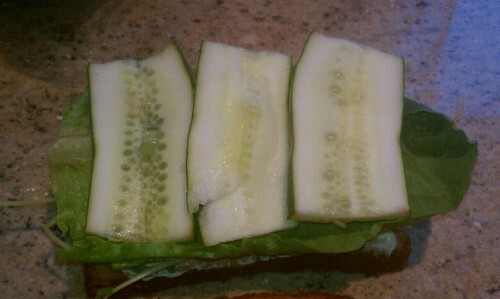 You don’t notice them too much if you have a good balance of fruit. I’m not sure how much I’ll use chia seeds as a normal part of the diet – as flavorless texture transformers they seem a bit risky. But I do have a pound to go through so I may be won over. I’ve heard chia pudding and chia muffins are pretty yummy and their gel can be a good egg substitute. Stay tuned for my explorations.